The 1N4099UR thru 1N4135UR and 1N4614UR thru 1N4627UR series of 0.5 watt glass surface mount DO-213AA Zener voltage regulators provides a selection from 1.8 to 100 volts instandard 5% tolerances as well as tighter tolerancesidentified by different suffix letters on the part number. These arealso availablewithaninternal-metallurgical-bond option by addinga “-1” suffix (see separate data sheet) including JAN, JANTX, and JANTXV military qualifications. Microsemi also offers numerous other Zener products to meet higher and lower powerapplications. Microsemi Corporation offers a comprehensive portfolio of semiconductor and system solutions for aerospace & defense, communications, data center and industrial markets. 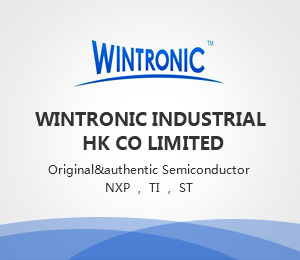 Products include high-performance and radiation-hardened analog mixed-signal integrated circuits, FPGAs, SoCs and ASICs; power management products; timing and synchronization devices and precise time solutions, setting the world’s standard for time; voice processing devices; RF solutions; discrete components; enterprise storage and communication solutions, security technologies and scalable anti-tamper products; Ethernet solutions; Power-over-Ethernet ICs and midspans; as well as custom design capabilities and services. Microsemi is now a subsidiary of Microchip Technology Inc. I heard that there is a Spider-Man in Huawei P30 Pro, what? The University of Tokyo team has open sourced an image editing tool called "neural collage"